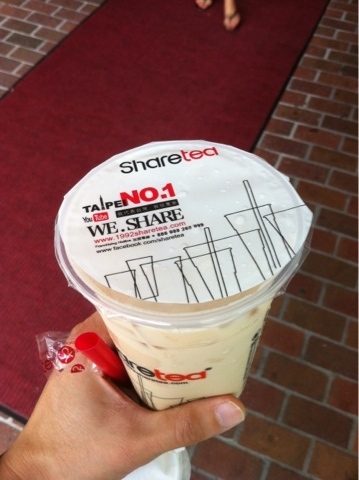 Just discovered Sharetea. 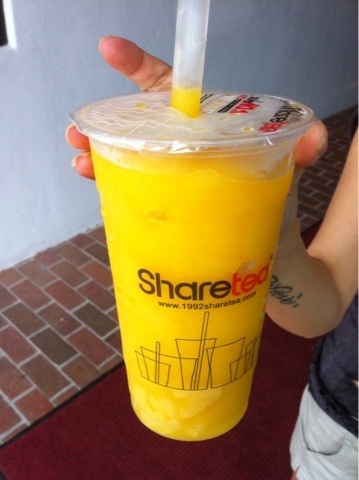 They were super super popular in Taiwan and a Franchisee just opened a store in San Mateo. Honestly, although expensive ($3 to almost $6 if your drink is optioned correctly), it's worth it. 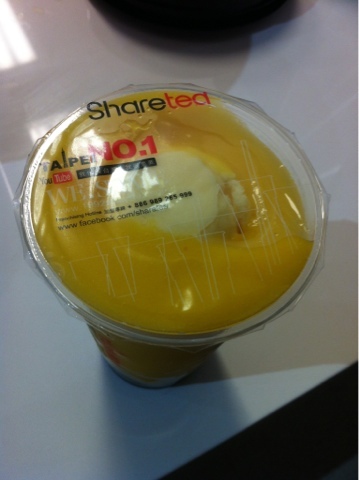 Much better than T-pump and Purple Kow. I find it amusing though that Asians are at least 3-months ahead of our non-Asian counterpart in any food trend. 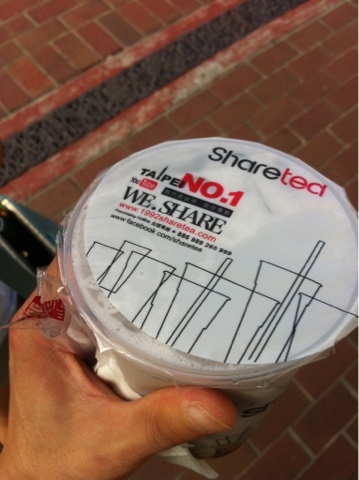 Sharetea is packed of Asians and now there's only non-Asian peeps in line at T-pumps. Don't those people at T-pump ever wonder where their Asian homies had gone?